Our unique and patent protected Bridge solution has been designed from the ground up to take advantage of modern technologies and use the latest developments in tablets and smartphones while maintaining the traditional – and fun – way of playing bridge with Cards in your hands. The Bridge+Dealer sits at the middle of the bridge table and invisibly and quietly deals the next hands while you play. When you are ready for the next deal – the cards emerge like magic, and four new hands are ready for play. Just insert the cards you have just played without messing up the order and the dealer records the exact way the hands were played. 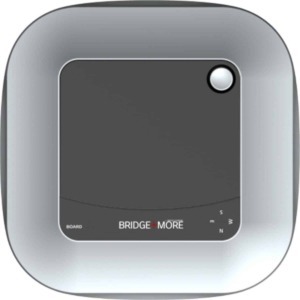 Despite being both advanced and revolutionary, the Bridge+Dealer is surprisingly easy to use due to the intuitive interface of both the Bridge+Dealer and the Bridge+Tablet. We ensure you keep enjoying the magic of bridge, we enhance both the traditions and the excitements of competing and we enforce the social elements of playing! We makes it easier and faster for you to play – just turn the dealer On and turn the tablet On, make a few selections by tapping a few times on the tablet and then start playing – it is as simple as that!